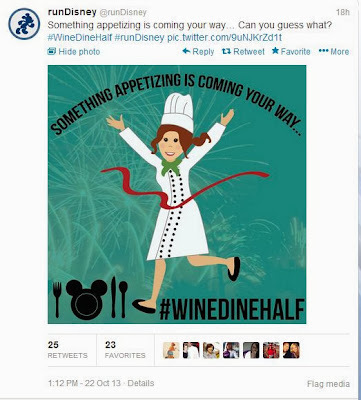 This is how I felt yesterday after finding out Cathy and I got into the Disney Wine and Dine Half Marathon Meetup. This event will be somewhat different. 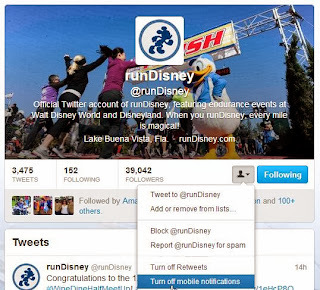 This time, it will happen at night and they invited 125 runners to attend. The fun begins with a viewing of the Illumination laser light and fireworks show in Epcot. 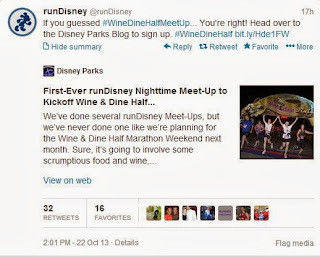 It sounds like there will be a food and wine tasting/talk along with a talk from "some Olympic endurance runners" including some advice on nighttime running safety. 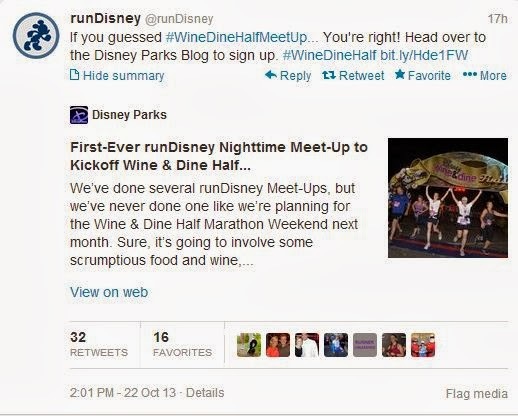 Finally, after the park closes, the group will go for a run "around the world"
I expected the teasers to start soon, with the formal go announcement closer to a week or so out from the race based on what I have seen with other races. Well, this time, Disney decided to pull a fast one on us. Luckily, I was prepared for this. I already had my email ready in my draft folder and within 2 minutes, I had my emails out. By the time I got both emails out, my heart was racing and my hands were shaking. From what I saw on my twitter timeline, I wasn't the only one experiencing the RunDisney meetup jitters. All I could do at this point was calm down and wait. By about 2:30, the blog post was updated that they had filled all the slots. For the meetups, it is first come first serve. They simply choose the first X number of emails they receive. The post said that BY 5PM they would post the attendee list. I started regularly hitting the refresh button by 4PM. At 5:48 the tweet came in announcing the list was up and Cathy and I both got in. During the meetup, I plan to take lots of pictures and post them all to twitter, and of course I will post a write-up of my experience here. Between now and then, I need to work on taking pictures and tweeting while on the run. 3. Have your email ready to go - up to this point, the meetup email address stayed the same, so have your email typed up and saved in your drafts. If you are sending emails for more then one person, be aware that they must come in separate emails. I went as far as to use two different email addresses to send the two emails, but from what I have read, this may not be necessary.